My mind goes to the early church in Acts. They modeled this same type of intercultural engagement that is envisioned by our Conference leaders. Along the way, the Church in Acts experienced some messiness and struggled in areas of communication, arrogance, and life practice as they worked at developing mutually-beneficial relationships that cared for people of all cultures equally. Indeed, they were aided greatly by an amazing filling of the Holy Spirit, but as they engaged with their call to make disciples of all nations, the result was that the church grew quickly. Is the church in Acts an accurate model as to what our intercultural engagement in Franconia Conference is supposed to look like? 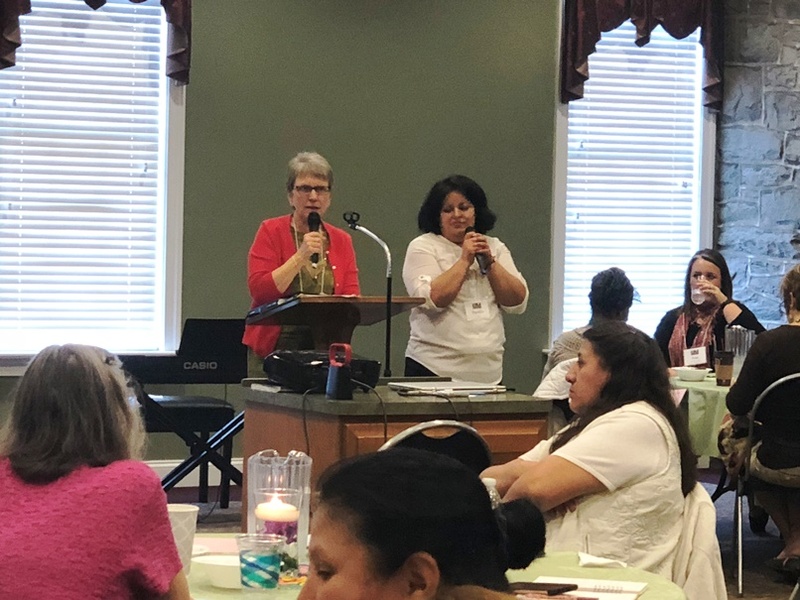 some small bumps in the road for Conference, related to communication and the practice of worship amidst the diversity, but it has also led to some rich new understandings of our faith and life together. I believe this diversity is a direct result of the vision put forth from the Conference. 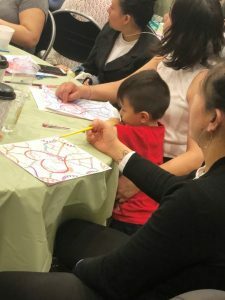 I applaud many of our congregations for their intentional approach to connecting with other churches that are completely different, culturally. 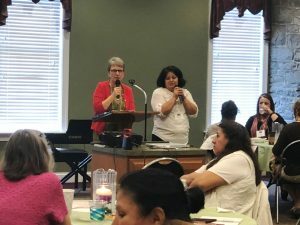 Indeed, we have worshipped together, ate together, and prayed together – and everyone involved is better for our continued work at intercultural engagement. 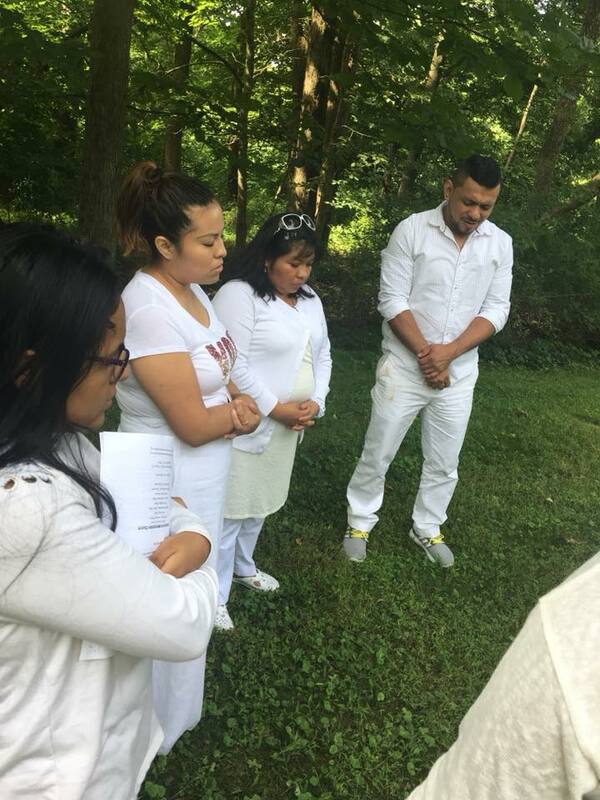 My congregation, Towamencin Mennonite Church, recently partnered with Centro de Alabanza de Filadelfia for an outdoor baptism service. Centro’s pastors – Fernando and Letty – and I spent a lot of time working out the details of the worship, translation, transportation needs and the details of a joint meal together. There seemed to be so many hurdles to jump over in the planning process. Yet, we all desired to be together and believed that through this service, both of our congregations would experience God in a powerful way. 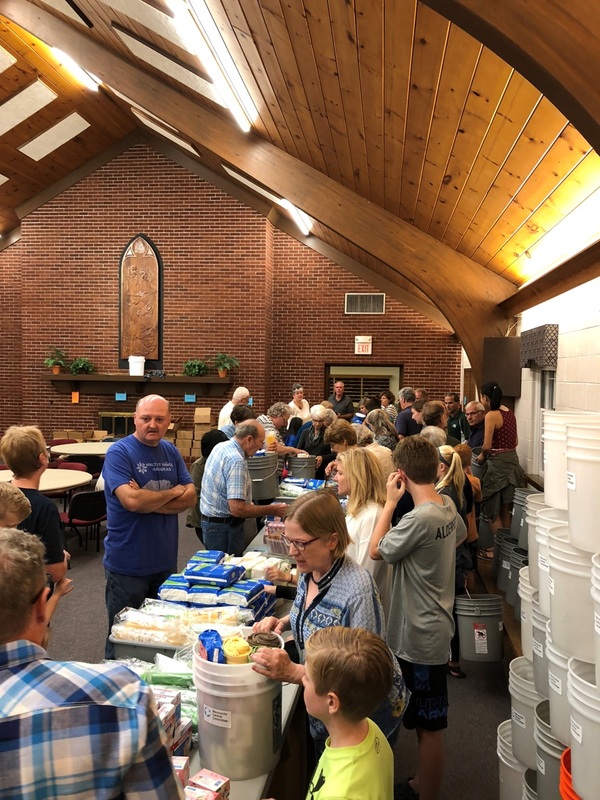 The commitment of the Centro congregation to this service touched the people of Towamencin greatly, as 130 persons made the trek from South Philly to Telford and joined another 130 persons from Towamencin. The balance in the attendance numbers may have just been a coincidence, but for us as pastors, it was God’s reminder that we both bring value to the table in equal ways and we have a lot to learn from each other. 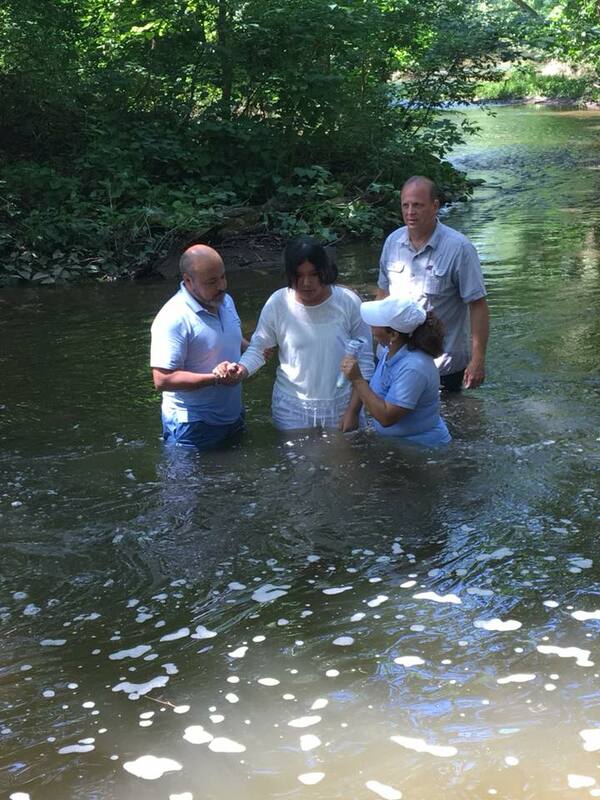 We baptized 10 persons in the Branch Creek on that beautiful July morning. We had earlier agreed that the words spoken during the baptisms would not be translated as to not disrupt the flow of the event. So, we all watched and cheered each other on in English and in Spanish, as persons declared publicly their commitment to Jesus. Then the Spirit interrupted the service in a powerful way. 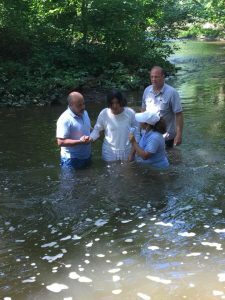 Just as Pastors Fernando and Letty were preparing to baptize their own daughter, Pastor Fernando abruptly stopped speaking in Spanish and with a tear-soaked face spoke in English and said, “I am sorry for my emotion – but you must understand how great this event is for us: to baptize our own daughter!” Every person from Towamencin connected instantly with the human condition of being a parent and seeing our children make a public faith commitment. At that moment, there were no intercultural differences, no struggles with language – only a coming together fully as two churches, one without any barriers. Following the baptisms we enjoyed a feast together: chicken BBQ along with the best guacamole ever and salsa. We also agreed together that this will be a yearly happening. In the weeks after this service, I have been talking to many pastors and congregations who have had similar awesome experiences of intercultural engagement. My question to them is, “Now what?” Do we just go back into our weekly routines as individual churches serving in our local communities, or do we dare to be more regular with our interactions with one another? The Acts church certainly broke down many cultural barriers along the way, yet still displayed many incidents where the church flourished in its own cultural space. In fact, for the early church, intercultural engagement was still always a work in progress. Perhaps that is how we should look at the vision of our Conference towards intercultural connectedness – as a continual, ongoing work in progress. There is no question that we have much to learn from one another. I think we simply need to recognize the value of being with one another, and then the opportunities to do things together will happen. Most of all, we need to see each other as partners in the same vision with all sides bringing the gifts and abilities to the table equally, on a level playing field. This is the biggest part of the journey of bridging cultures together. It is a necessary one, and at times a messy one. I am thankful that our Conference reminds us all that it is a highly valuable and important journey for our Conference churches to engage in. When our oldest son was 13, he wanted to play in the park football program. Despite some misgivings about the benefits of youth football, my wife and I decided to let him play hoping that he would find a sense of confidence and purpose in a team sport. 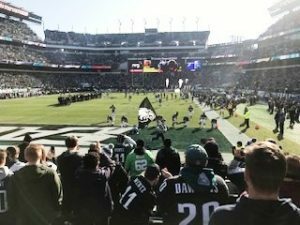 However, when the schedule came out indicating that some games may happen on Sunday mornings, we knew we had some additional discernment to do. So we engaged our son in conversation about what we would do. Tim Bentch’s article “Are We Driving Our Children Away from God?” asks some important questions related to the values we as parents are modeling to our children. A frequent refrain among youth pastors is how to do ministry among the “busy schedules” that dominate the calendars of our youth and families. 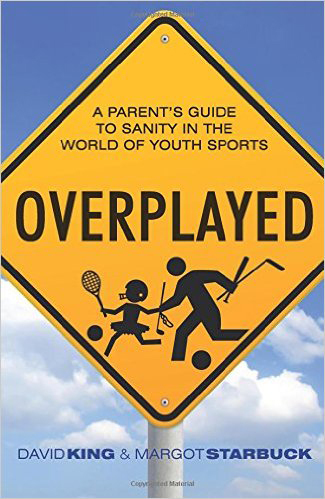 A recent book, Overplayed: A Parent’s Guide to Sanity in the World of Sports, by David King and Margot Starbuck, asks some of the same questions. They address seven myths about youth sports that are deeply entrenched in our culture. What are the unintended messages we pass on to our children about what we value regarding performance, success, family, community, and justice and equity? 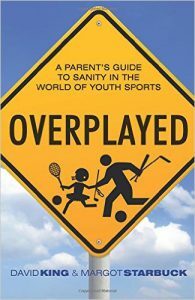 What are alternative ways families can positively engage with youth sports culture? What do we want to be doing with our money and our time? What relationships are most important for us to honor? What are three to five values we want to name as being important to us? As parents and/or youth workers it is important that we help keep the focus of our youth on Christ and being disciples. Identifying family values in advance gives you tools for decision making about athletic and other types of extracurricular commitments. As youth workers and pastors we can help keep these values at the forefront for our youth when we see them making decisions. These values may lead to limited or no engagement in certain extracurricular activities, or as seen in a previous Intersectings article, “The Everyday Missionary,” you may find a way to help make disciples for the Lord through extracurricular activities. Either way engagement should be based off the values your family holds. Here are some guiding values for us to consider as communities of faith. What would you add? Sabbath. We need to be grounded in a Christian community committed to the sacred balance between work and rest. A life that incorporates Sabbath rest helps us to be more aware of the Spirit of God, more dependent on the providence of God, and more available for relationships of love. What does Sabbath look like in a world where choices abound and technology surrounds us? 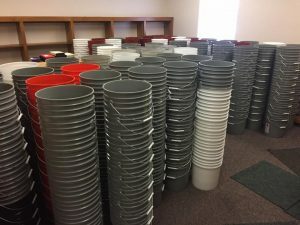 Sometimes our church youth programs buy into the “more activities and choices are better” mentality and only compound the problem. Let’s confront one of the diseases of our time: we are distracted from the “better” things often hidden among many “good” things. Accompaniment. How can we come alongside our youth in their journey of discipleship? Our task is to initiate young persons into mature Christian faith through relationships with adults who join them in living the way of authentic discipleship. As elders we can offer youth friendship, guidance and listening ears as they make the passage through adolescence into spiritual maturity. This is the work of the whole church and not just a youth pastor or a few youth sponsors in the congregation. Discernment. We need to be guided by prayerful discernment attentive to God’s living Word. We practice and teach the discipline of discernment with our youth so as to be responsive to the movement of God’s grace and mission. How can we be less anxiety and fear driven and more Spirit led in our ministry with youth? 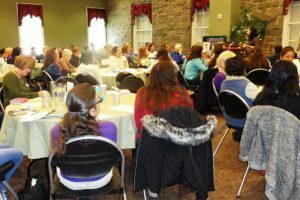 Involve youth in the decision making process in congregational life. Be open to how God is speaking to and through them to the larger church. Multigenerational: Make church multigenerational as much as possible. In some of our attempts to do great youth programming we may be unintentionally disconnecting them from the larger body of Christ. 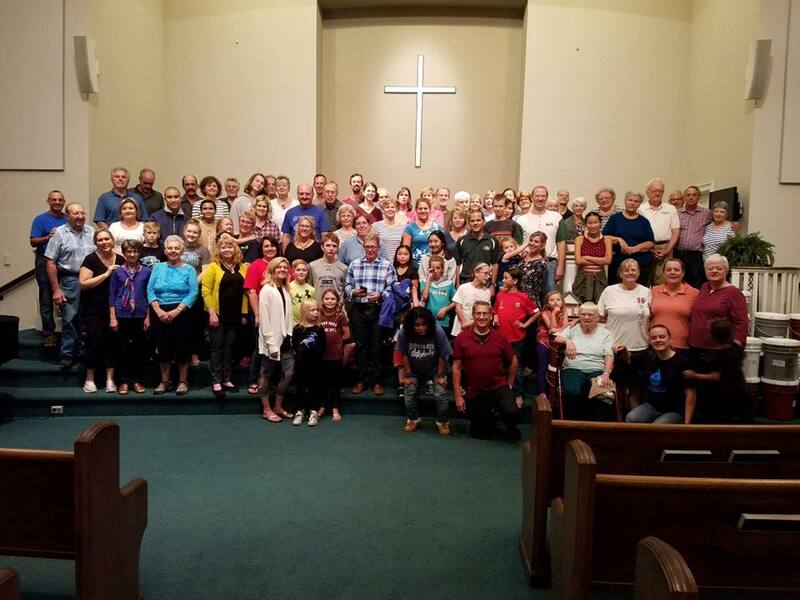 Young people at multigenerational focused churches are more likely to remain connected to the faith and become active church members as adults, because that’s what they already are and always have been. When my wife and I were looking for a church home, we were not looking for a church with a dynamic youth program as much as we were looking for a community of believers modeling an active faith that included the nurture of children and youth. Authentic action: We seek to engage youth and adults in authentic actions that reflect God’s mercy, justice and peace. Most studies of faith and youth point to parent’s faith as the key factor in their children’s faith. What is the shape of our faith that we are passing on our children? What is the one radical thing we are doing because of our faith? Our youth need to see the connection between life and faith. Baptism: Let’s reimagine baptism and its role in Christian citizenship and discipleship. 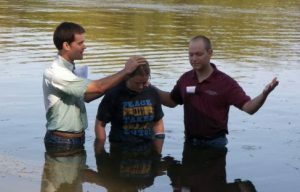 What does baptism look like in our current context? To early Christians, baptism meant a decisive step of leaving one’s civilian life behind and accepting the commitment of becoming a “living sacrifice” for God’s service. 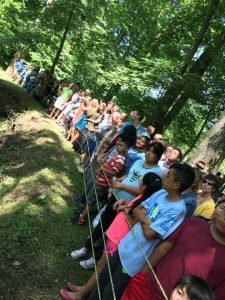 How can we as adults make more of our baptismal promises and journey? 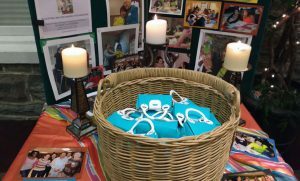 How can we give space for the baptism instructional experience and ritual to be more fully robust and transformational? My conviction is that God is speaking to our youth in every part of their lives. How can we as adults help them respond with the words of Samuel, “Speak, Lord, for your servant is listening.”? Many of our churches have just finished their celebration of Epiphany – a day that seems to have taken a back seat to our more culturally-relevant Christmas and New Year’s celebrations. Epiphany is literally defined as a “Christian festival held on January 6 in honor of the coming of the three kings to the infant Jesus Christ.” Yet, as I reflected on the story of how the Magi saw something new in the sky and were compelled to leave behind all of their responsibilities and travel to see this new king, I couldn’t help but wonder if epiphanies have the same effect on people today. Is it even possible that we, who live in our practical or intellectual worlds of thought, would even be open to see or understand something in a new way through God’s divine enlightening? Perhaps we spend so much time trying to figure out what God is doing and saying through our epiphanies that we miss the real purpose of them – to draw us to worship. 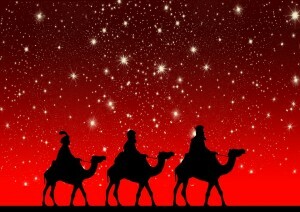 The sight of the star set the Magi into motion. They saw the star and they freed themselves to make the trip to worship the newborn savior king. Maybe we all need some sort of epiphany to point us to the place or posture of worship. Over the Christmas holiday, my nearly 3-year-old grandson helped enlighten me about my own need to make worship a priority. One night before he fell asleep, he was lying in bed when he burst out in singing “Gloria, Gloria, Gloria,” the refrain of the Christmas song he heard earlier in the week. And then there was silence. A few moments later, he repeated his praises to God –this time adding “In excelsis Deo.” He had heard this chorus for the first time of his life earlier in the week, and now, he couldn’t help but continue to sing it as a way of praising God. It burst forth from his heart and broke the silence. The song was a part of him – and he sang God’s praises freely and joyfully over and over again. In that moment as I stood in the hallway outside of his room, the light became clear to me. It was an epiphany. My heart was filled with joy as I whispered – Gloria in excelsis deo, indeed!! Every day that we live should be guided by the Epiphany that opens our eyes to new understandings of the fact that a Savior has been born. And that leads us to worship. Come all, come everyone and worship! Michael Clemmer is pastor at Towamencin Mennonite Church and a LEADership minister in Franconia Conference. 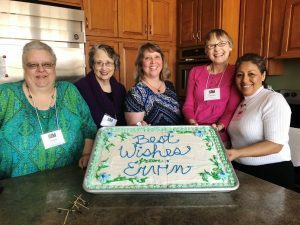 Franconia Conference welcomes a gardener—who cultivates flowers, leaders, and diversity—to the LEADership ministry team. Loving to see beautiful things grow, Mike plants flowers on his church’s property and works to nurture leaders as a pastor. He will continue this leadership cultivation as a welcomed LEADership minister with the conference. 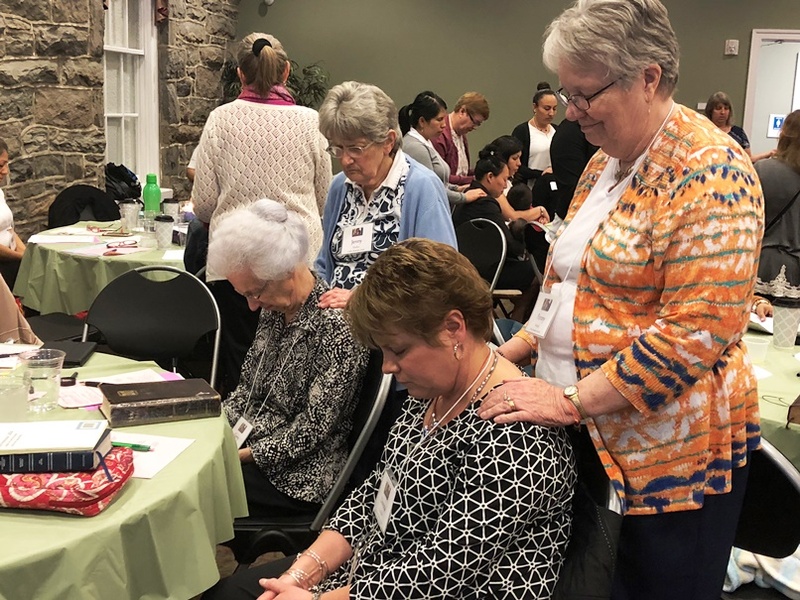 LEAD is the conference’s oversight direction and platform intended to cultivate healthy and growing Anabaptist congregations by equipping leaders to empower others to embrace God’s mission. 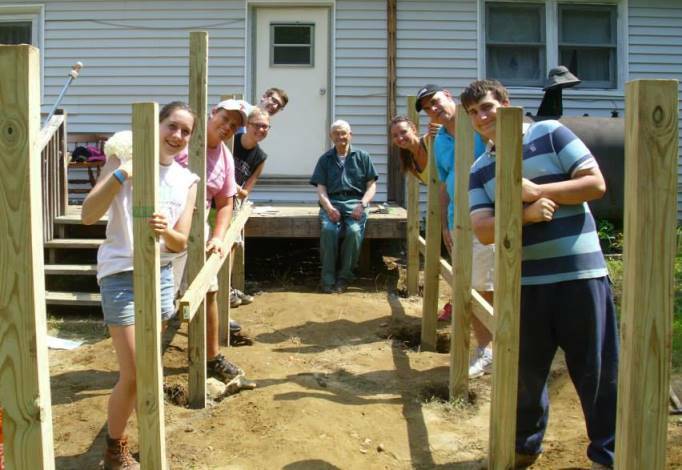 Oversight occurs through a team invited by congregational leaders to serve and lead them. 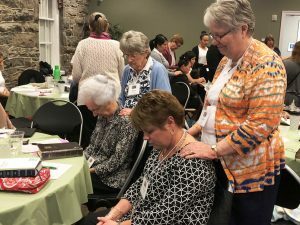 This team includes the pastor, a Franconia Mennonite Conference LEADership minister, the chair of the congregation’s governing body (when relevant) and others. LEADership ministers and the LEAD approach equips leaders to empower others to embrace God’s mission through support, accountability, and conflict management for pastors as they move forward in God’s vision and mission. Mike Clemmer begins his responsibilities as a LEADership minister in Franconia Mennonite Conference this August. 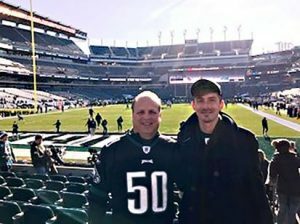 He has grown up in the conference, beginning life at Souderton Mennonite Church and now serving for the past ten years as pastor at Towamencin Mennonite Church. He is the chair of the conference credentialing committee and serves as a part of the ministerial committee. Earning a doctorate in missional leadership at Biblical Theological Seminary, Mike has a passion for leadership and helping a congregation realize the insights it already has for making decisions. 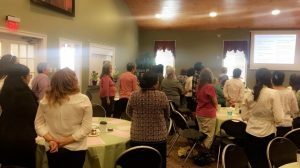 “To give some encouragement to other pastors and other leadership teams is something I have always enjoyed,” Mike said. Mike appreciates the connections that Franconia Mennonite Conference affords easily between churches. Something he has witnessed over his longstanding relationship with the conference and local congregations. Mike considers connecting with the community important as well, which aligns with the conference’s focus on mission. In addition to his work as pastor at Towamencin Mennonite Church, he is a chaplain for the Towamencin Fire Company, a way to connect with others outside the congregation. Another indication of his passion to welcome the community into the church is the “no-conclusion” Bible study practice he encourages. Instead of a Bible study instructor concluding with the final answers of a passage, he prefers a more open-ended conclusion that allows the passage to continue to work in everyone’s heart throughout the week that allows for “many people [to] takeaway” insights. 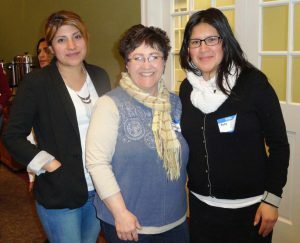 Mike personally aligns with the intercultural goal of Franconia Mennonite Conference; after all, Towamencin Mennonite Church has 14 native languages in a congregation of about 160 people, according to Mike. Persons from Kenya, Ethiopia, Ghana, India, Korea, China, Germany, and several Hispanic countries attend the congregation. Before pastoring, Mike spent more than 20 years in business at Moyer & Son in Telford. While serving as a LEADership Minister with the conference, Mike will continue to pastor at Towamencin Mennonite Church. 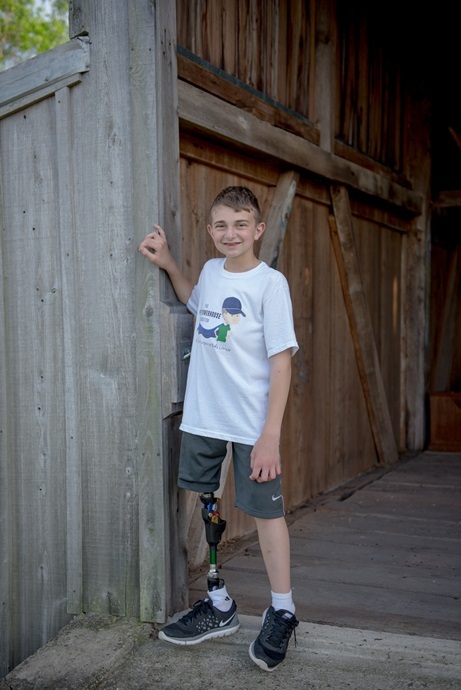 He may also be found enjoying some of his other passions including running, sports, music, and gardening. Mike is married to April and they have three grown children. “As a church, we have often felt as if we are part of both Peter’s struggles as well as his celebrations. He has such a positive personality that he draws people into his life’s story and in the end, we are always inspired and blessed through each and every victory in his life. 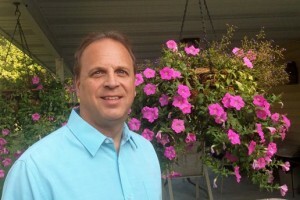 Peter has taught me how to trust God with a smile on my face.” –Mike Clemmer, pastor at Towamencin Mennonite Church.